I’ve been bitten by the Mini bug and the effects are really ramping up. 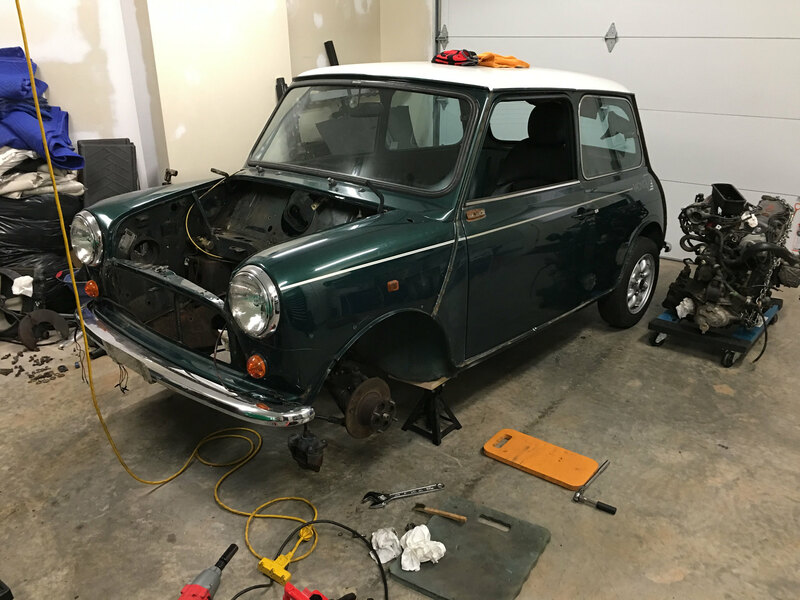 After leaving behind the world of pre-war American hot rods, I headed in a completely different direction with the purchase of a mint 1979 Mini 1000 a little over a year ago. Things have only gotten worse since then with the purchase of a Japanese ‘91 saloon and now, a 1974 van. 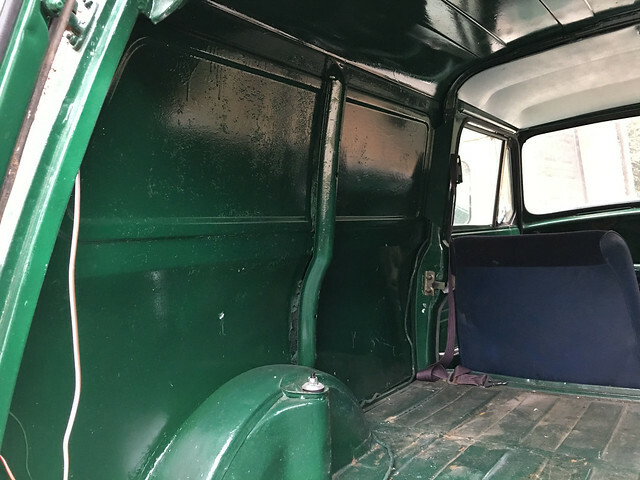 This thread will document my progress as I take a somewhat scrappy, mysterious van and perform a ground-up bare metal rebuild. 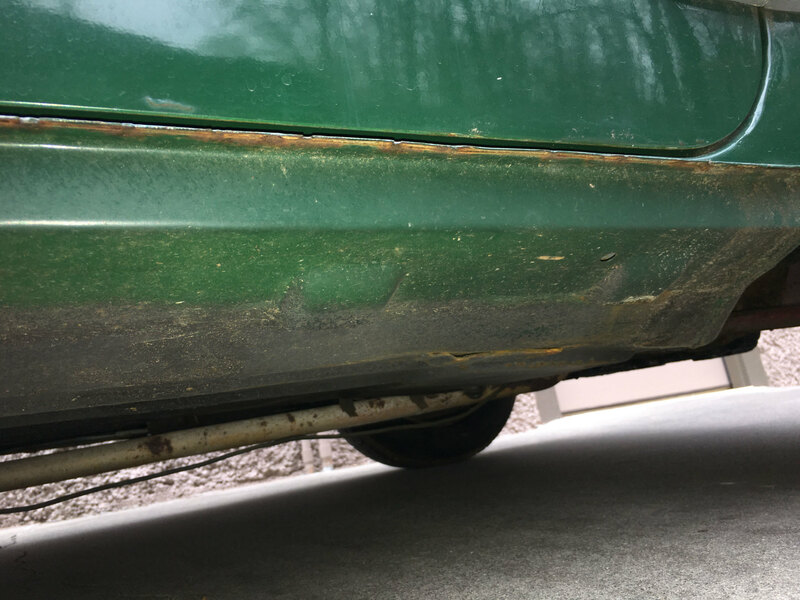 Along the way, I’m hoping to get answers and advice from the community with regard to many aspects of the vehicle. 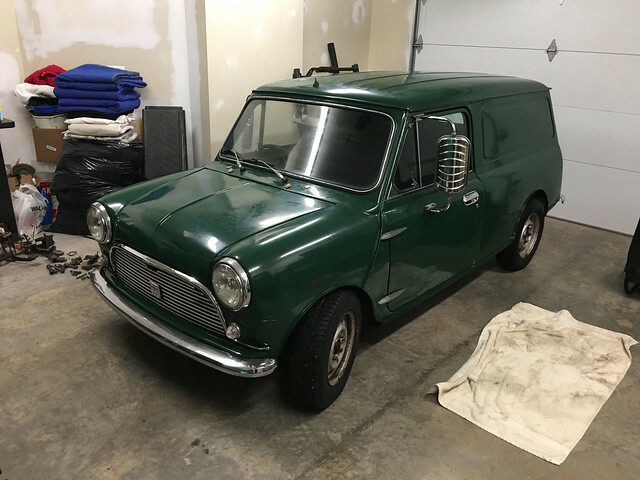 I purchased the car from a fellow Mini enthusiast in Tennessee. 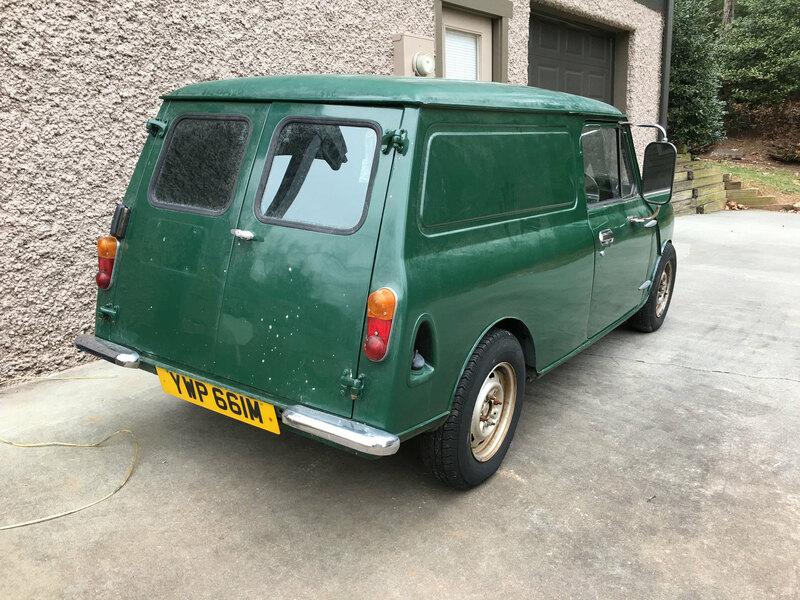 From the very start of my fascination with these wonderful, freaky little cars, I’ve really had an interest in the vans and the trucks so when I discovered this one for sale fairly close by, I had to check it out. 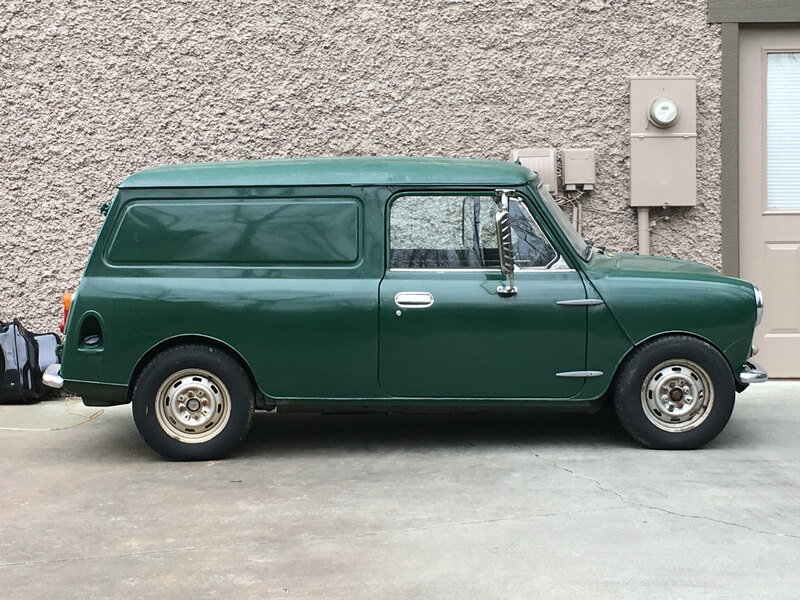 It’s not without its flaws however I deemed it solid enough to purchase... besides, condition aside, very few vans come up for sale here in the States. 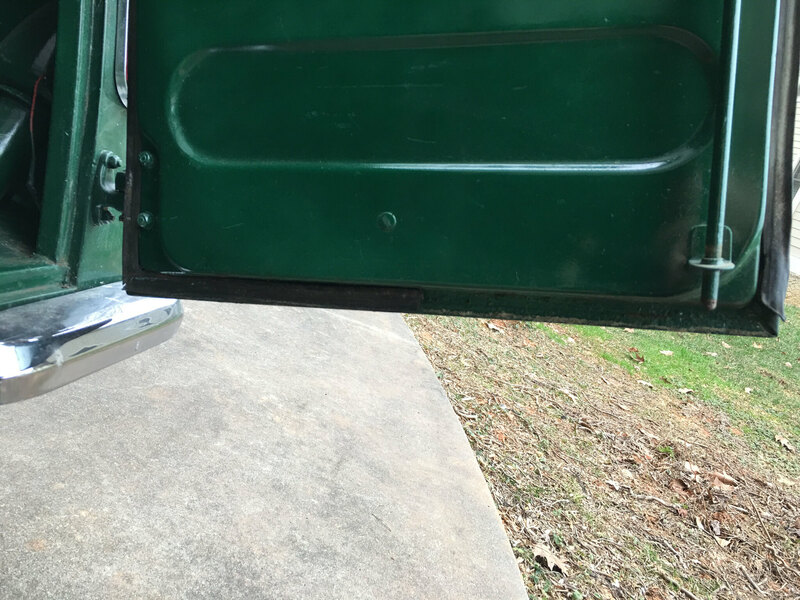 - The roll up window doors with lift-up exterior handles are clearly Australian however there are no other obvious (at least to me) details that would suggest that it was manufactured in Australia. 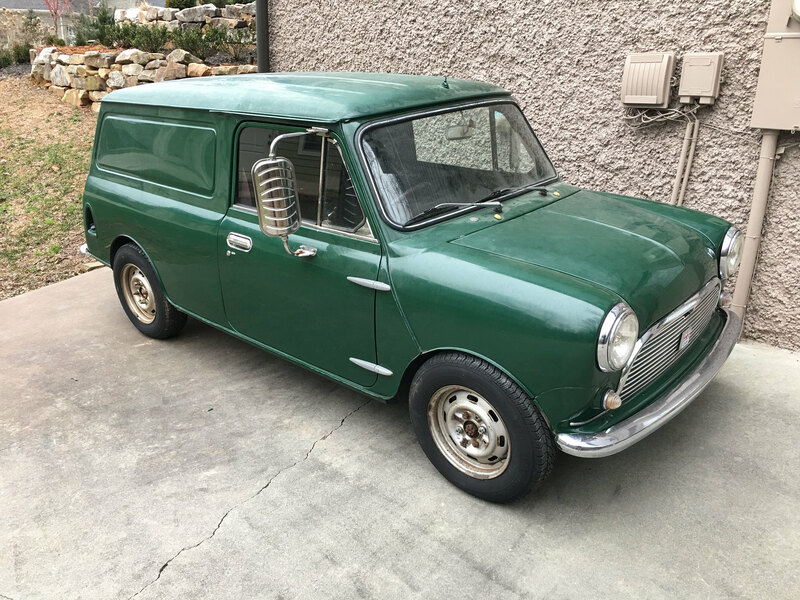 A book I purchased states that Australian Mini vans featured round nose front ends with Mk1 saloon style grills as opposed to the stamped steel units usually seen on vans. 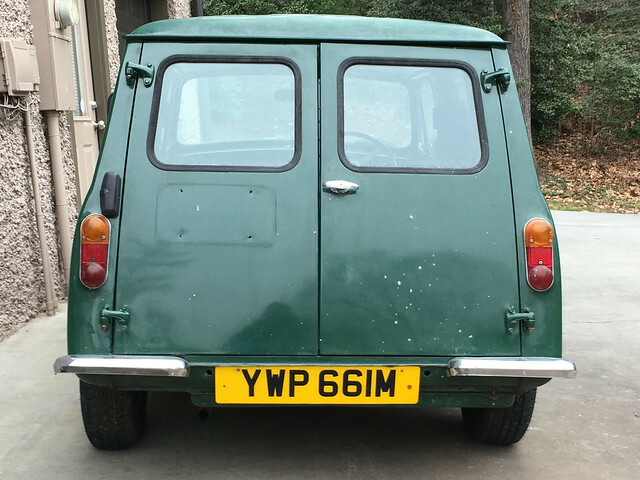 However I was recently told by another member that Australian Mini vans featured Clubman style fronts. Not sure what the real story is but my van does have a round front with a Mk1 style grill. 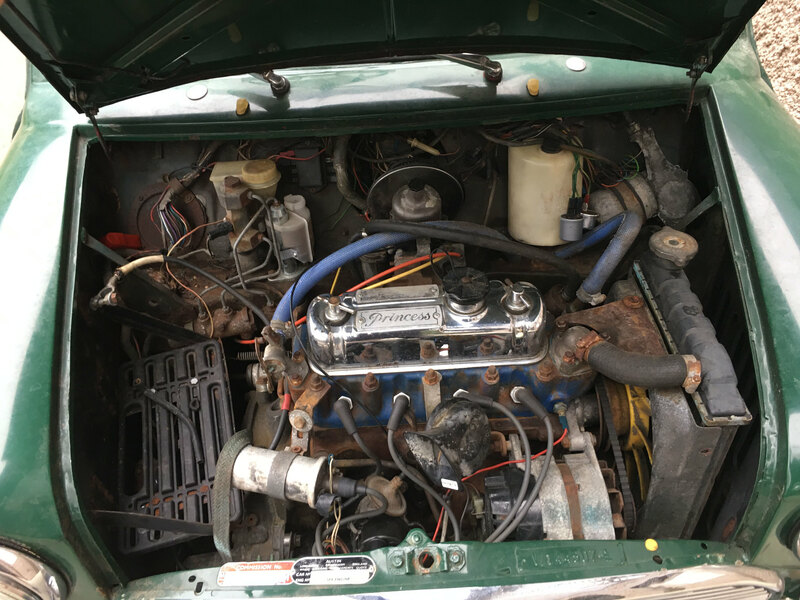 - The VIN of XA2S2xxxxxxxA, according to a guide on MiniMania’s website, would suggest it’s a 2 door saloon with a Clubman front end however the commission tag starts with 20V, the code for a van. Neither of the tags appears altered nor do they appear to have been transferred from another vehicle. 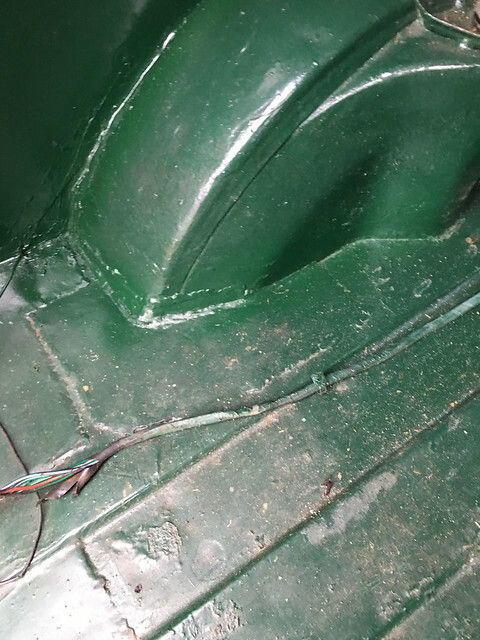 - The battery is located under the bonnet however the support tray was either crudely welded to the inner wing as part of a previous owner’s improvements or it is a poorly welded repair of a unique feature. 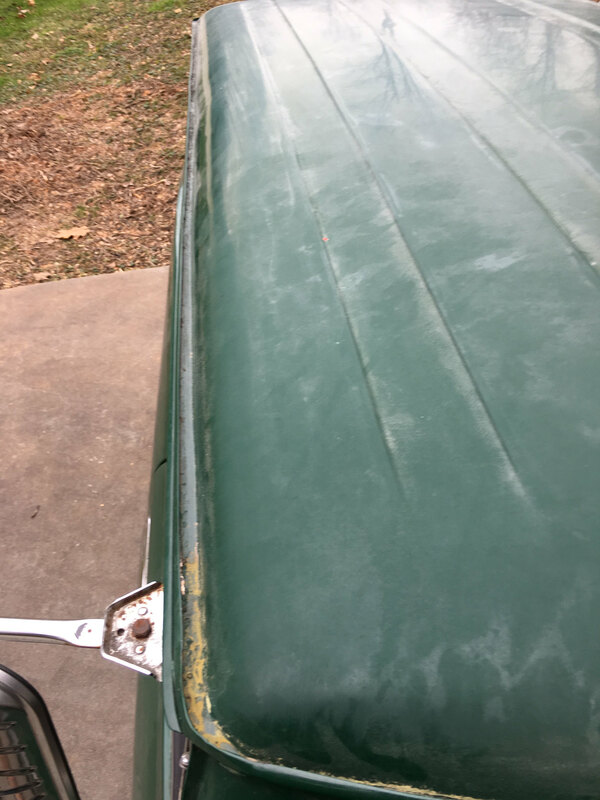 I have no history on the car but it’s been repainted (crudely) at least once in its life and there is evidence of some sketchy repairs made to portions of the cargo floor. It’s certainly possible that someone replaced the doors with Aussie units while other “improvements” and repairs were being made. Edited by Vudu, 13 January 2019 - 06:06 PM. 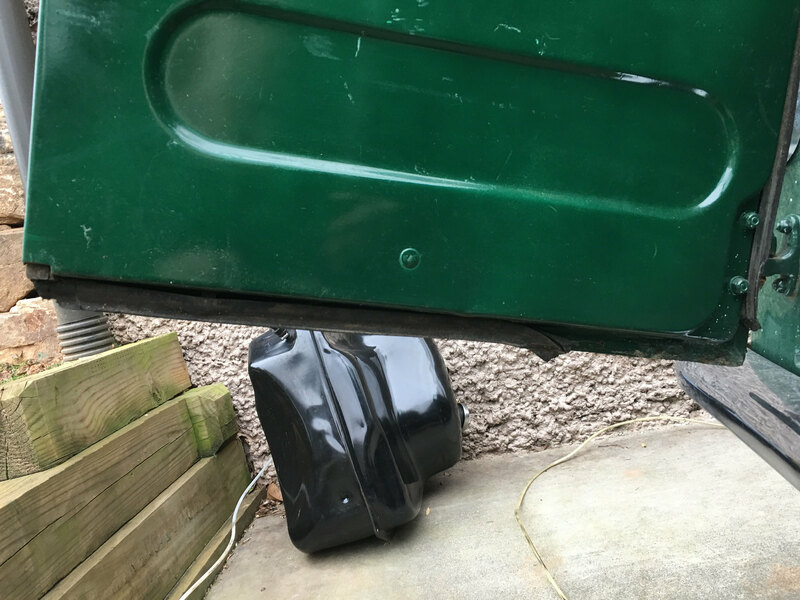 - The rear cargo doors look very solid with only one tiny spot of bubbling along a bottom edge. 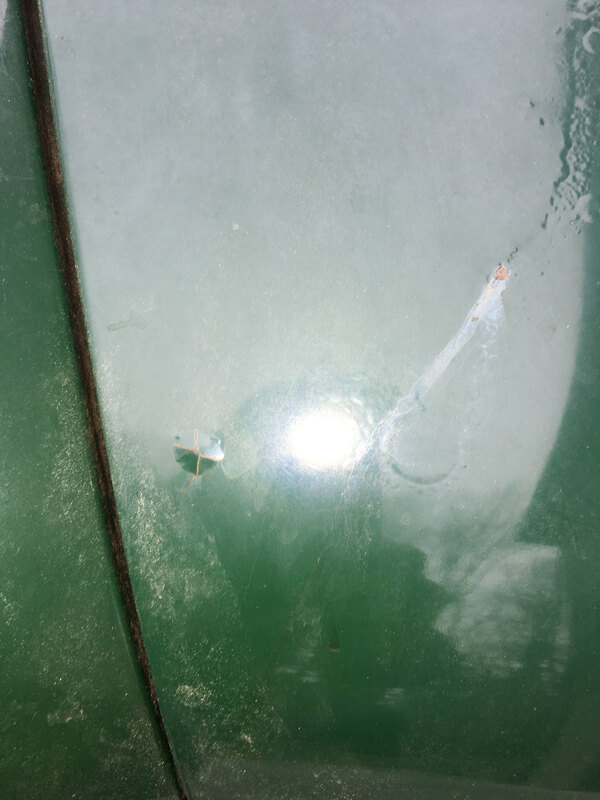 There are some holes in one of the doors which most likely resulted from the attachment of license tag. - Outer sills look fantastic. Not sure if they have been replaced but if so, the work was very well done (unlike some of the cargo floor patches). I’ll have to look closer but I don’t think they’re oversills. 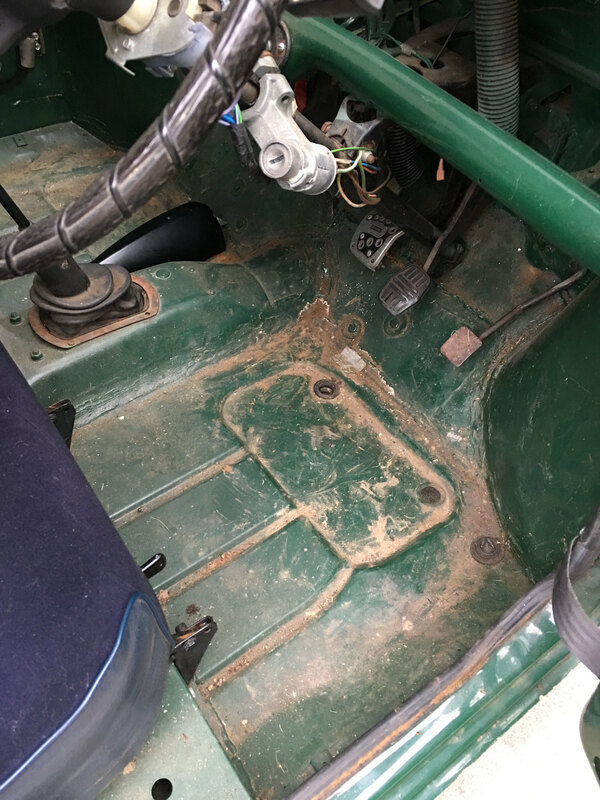 - The floor is excellent except for the area where the lower front subframe mounts attach. Those floor patches are fairly rough looking. 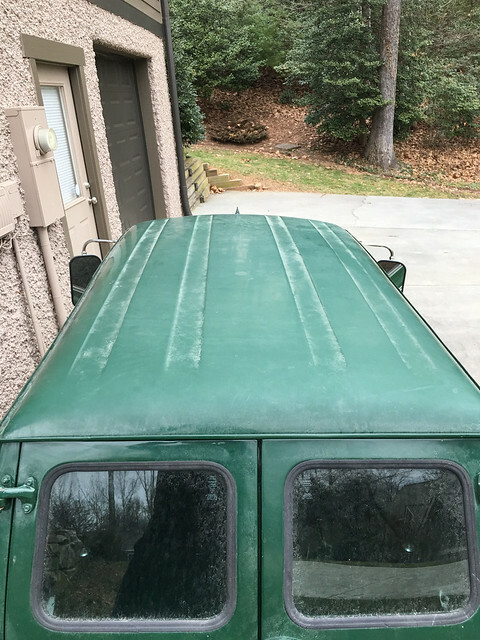 - Roof and rain gutters are straight and rust-free. Edited by Vudu, 13 January 2019 - 06:13 PM. I think this van might have been painted with a garden hose (only half joking). Very little of the inside was masked or even properly prepped by the looks of things. Maybe a roller was used for the inside? 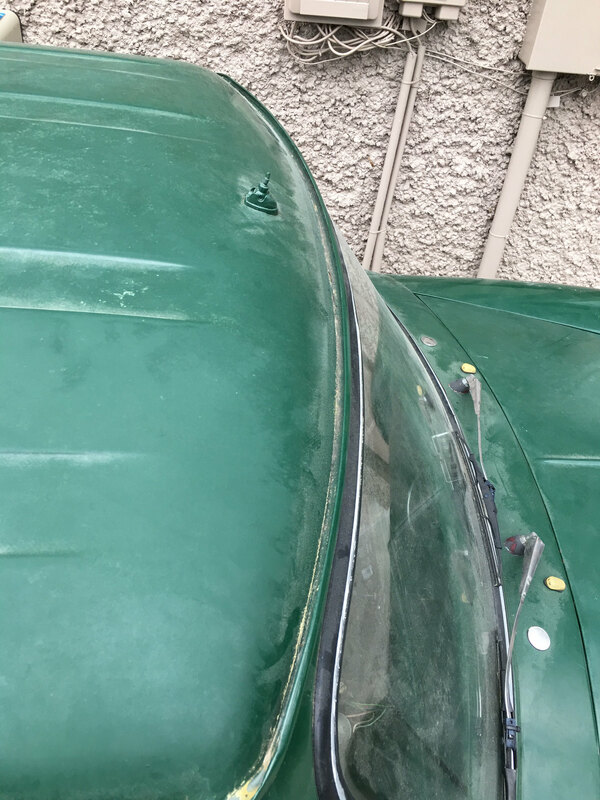 I'm actually wanting to take a big leap ahead and strip it down to bare metal now in order to assess what panels may need replacing. From what I've read on this site, some panels can take a while for delivery...add on another month or so for it to come across the pond and that is too long. The vision I have for this thing is that of a super clean, minimalist aesthetic. 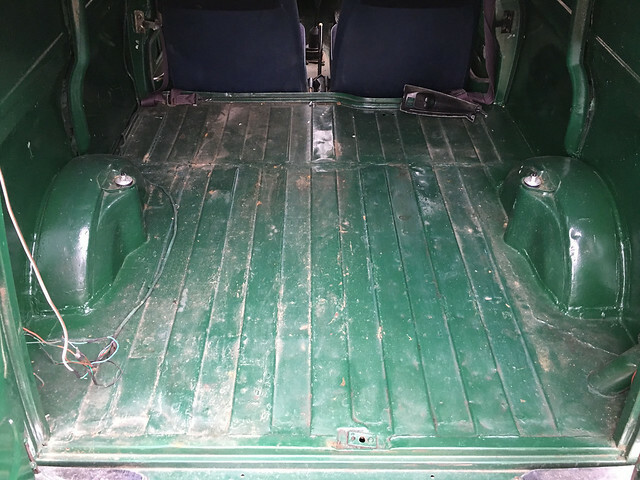 With that in mind, I don't want a carpeted cargo area that some may be tempted to incorporate in order to cover up a less than perfect cargo floor. 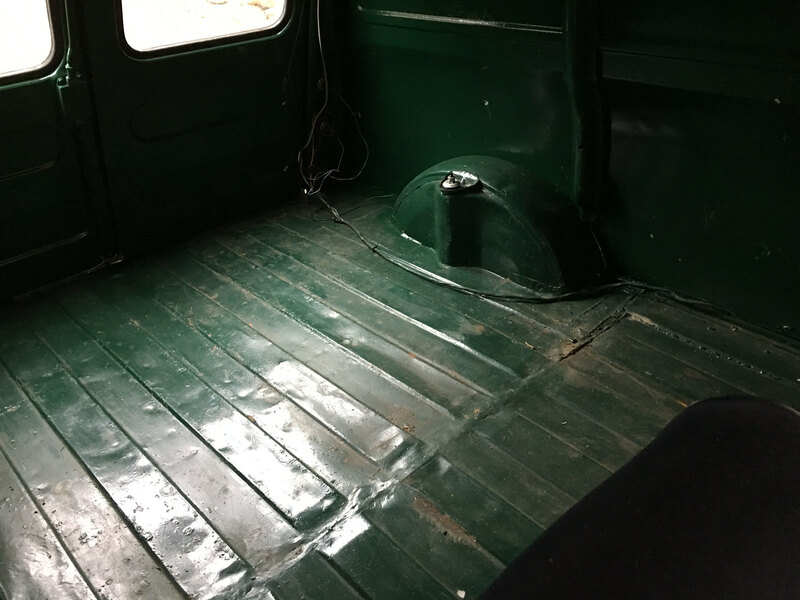 My van's cargo area would definitely fall into the category of "better hidden" however I just couldn't live with that so I may very well be spending some money on a full replacement floor. 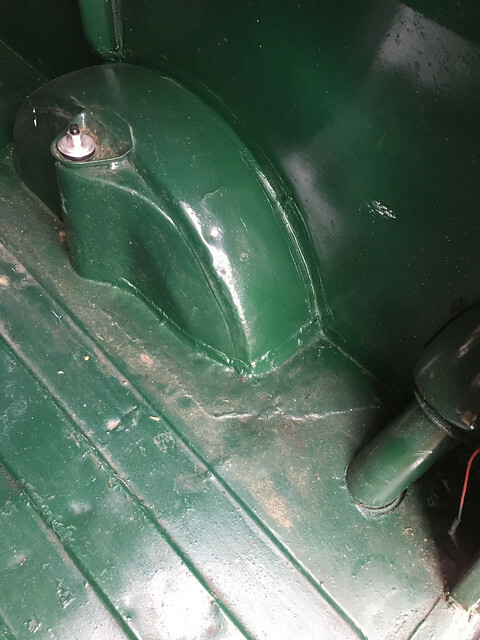 Interest8ng battery tray location.. must be close to the bonnet. 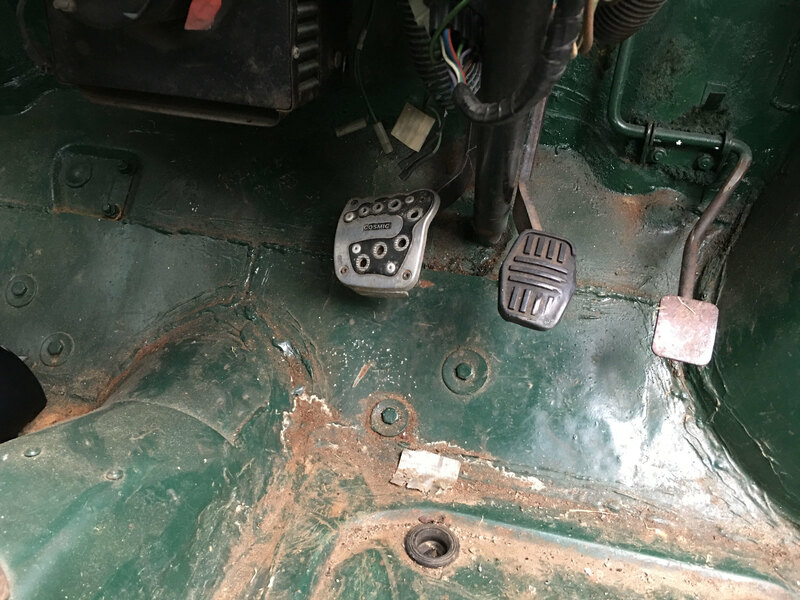 When I was inspecting the car prior to purchase, the owner put a battery in the tray (so we could try to start it) but didn't close the bonnet so I'm not really sure about clearances. Regardless, I don't even care if it's factory...its an eyesore and I'd rather have a tidy engine bay. 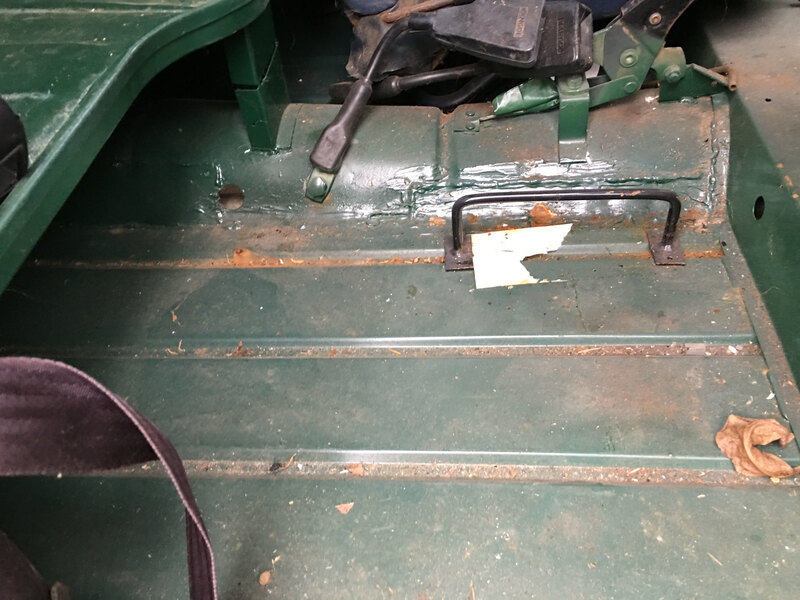 I'm considering an AGM (gel) battery mounted on it's side under the cargo floor. I can fab a tray that will slide out when needed but otherwise keep things hidden. Clean. So you're in the states with an Australian Mini van on British plates! That looks pretty good, I've seen a lot worse than that. Sounds interesting what you're planning. Edited by unburntfuelinthemorning, 14 January 2019 - 10:28 PM. My workspace was kinda overflowing with Minis (nice problem to have, I know ) so I had to rearrange things to get the van inside. My '79 is staying tucked up against the wall on the wheel dollies (until it is sold) so the '91 is temporarily getting evicted. 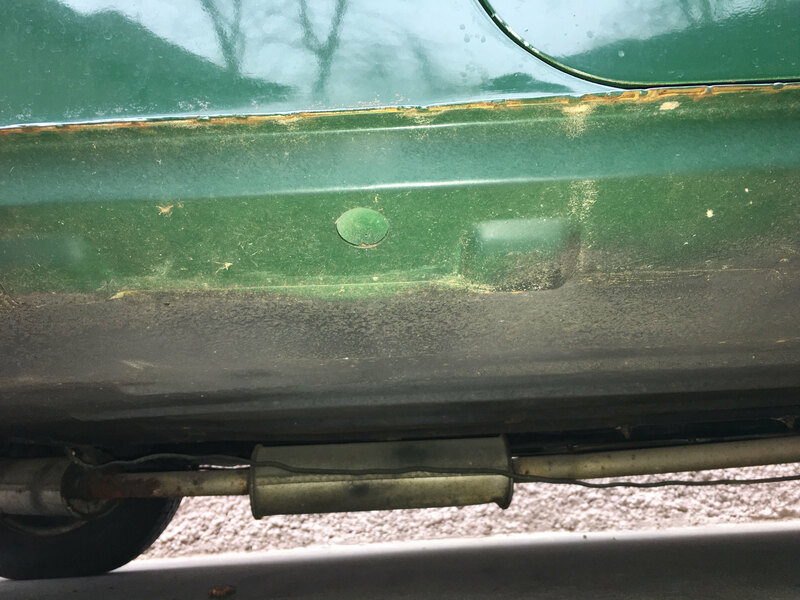 Once it was inside and dried off, it marked it's territory (oil leaks) like a genuine Mini. The basement garage has been the last part of our home to receive attention. Now that most of the remodeling work is done on the living spaces, my Mini space will get some overdue upgrades (epoxy coated floor, wall cabinets, additional LED lighting). There's still some non-Mini stuff hanging about such as moving blankets however they will have to make way for some new workshop equipment. Edited by Vudu, 15 January 2019 - 12:42 PM. Great looking project, looks very sound body wise. The only thing that worries me, is are those door mirrors big enough? I recon you would get another 10mph without those bad boys on! Interestingly it doesn't seem to have been marked as exported either! Edited by GraemeC, 15 January 2019 - 06:39 PM. 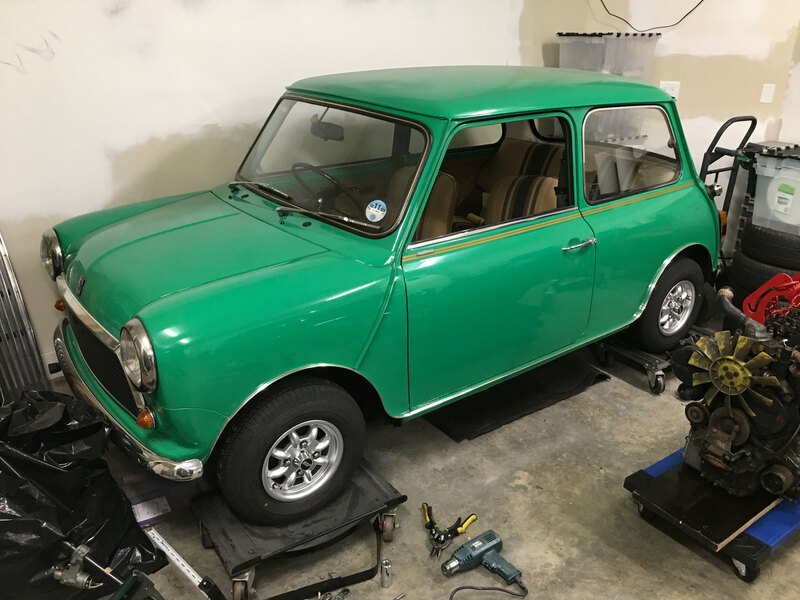 Those mirrors must make it the easiest of all Minis to reverse! The only part Australian about the van is the doors sorry. The rest is Uk. 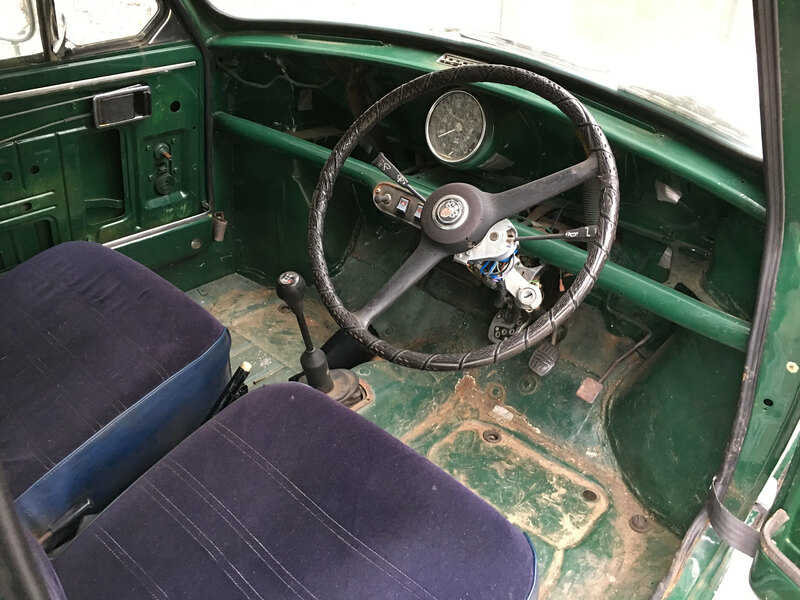 To be Aussie the floor is wrong, dash, wiper scuttle panel, front panels, wiper motor, steering column and pedal box. Thats just from the photos I have seen. 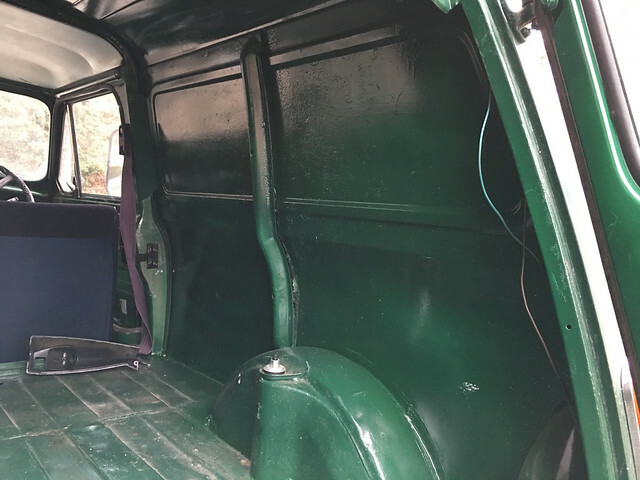 It looks like a really nice project, if you need any bits for the doors just sing out as I have lots of spares for those. Scoop - I really appreciate the info. Regardless of it's origins, I'm happy to have it and I think the Australian doors are kinda cool. 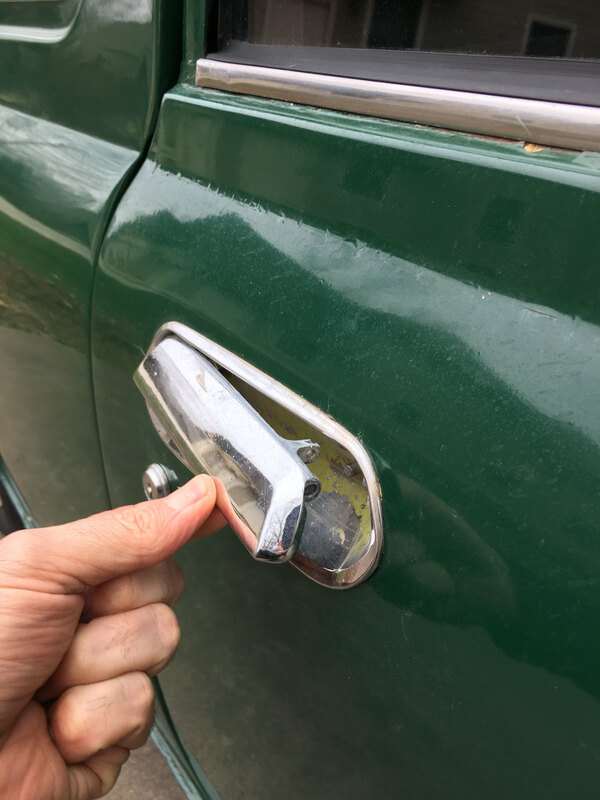 I do need to have a closer look at the mechanism for the driver's door handle as it appears to be missing a spring and/or a hinge pin or some sort (not familiar with these units yet). Is It A Barn Find If I Put It There?